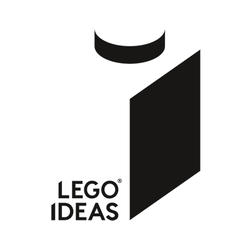 LEGO IDEAS - Blog - LEGO Ideas Maze – The reinvention of a classic! 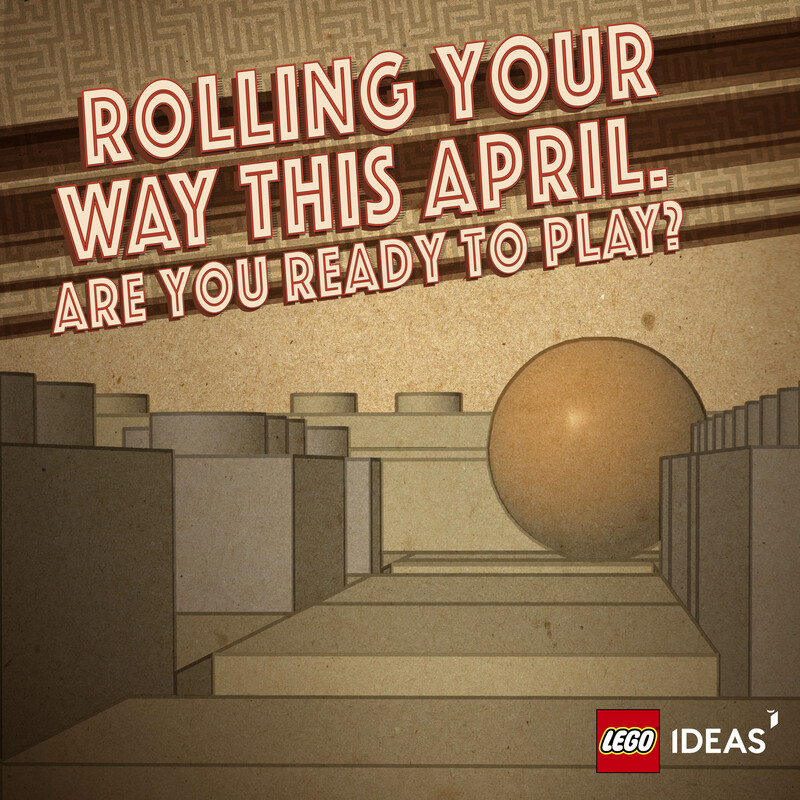 Today we're excited to share with you the next LEGO Ideas set, 21305 Maze. Here's your first look at official product images and our press release. The set also includes a removable container to store the balls and a travel lock that keeps everything in place when you are carrying or storing the game. 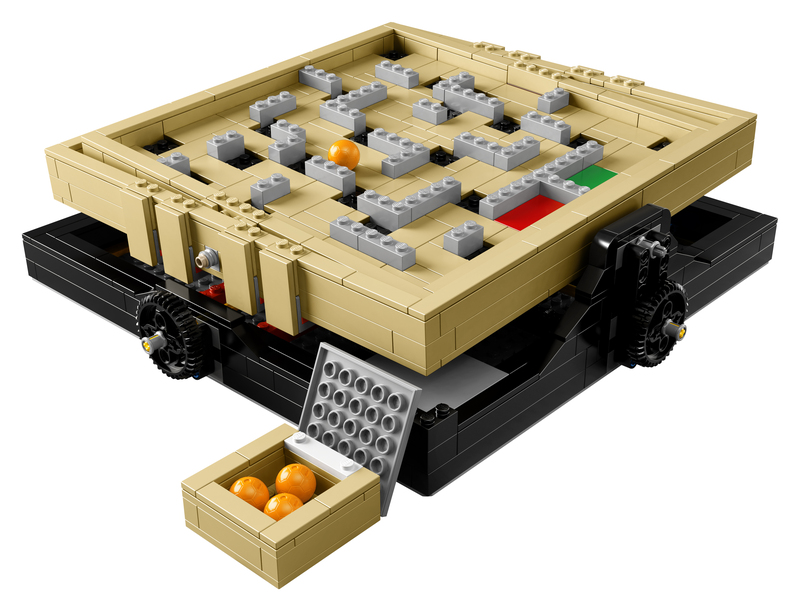 This is the 13th product in the LEGO Ideas series, this time designed by LEGO fan Jason Allemann who has always been fascinated with this classic game. “I originally tried to recreate the wooden version of the Labyrinth maze as faithfully as possible, with a larger rectangular maze and actual holes for the ball to fall through. It quickly became apparent that this it wasn't going to be practical though. The holes required the maze to be built using multiple layers of smaller plates, making it heavy, part intensive and relatively weak”. “I decided to decrease the size of the maze and eliminate the holes. By having the ball fall into depressions, the maze could be built using a smaller number of larger plates. The smaller size and simplified construction also resulted in a much lighter maze, making the control system much more responsive”. Once the project completed the LEGO Ideas review process and was approved, the professional LEGO model designer Steen Sig Andersen became involved to ensure the model and the building experience lived up to what is expected of a LEGO product. “Steen did an amazing job of improving the robustness of the frame. He managed to address all of the weak spots in my original model without changing any of the basic design and behavior”. Connie Solhiem Lykke, Marketing Manager at LEGO Ideas, is also delighted with the final result and especially by the fact that it encourages players to carry on and build new mazes for the game. “While the original wooden version is always the same, this concept really embraces the customization that building with LEGO elements allow. 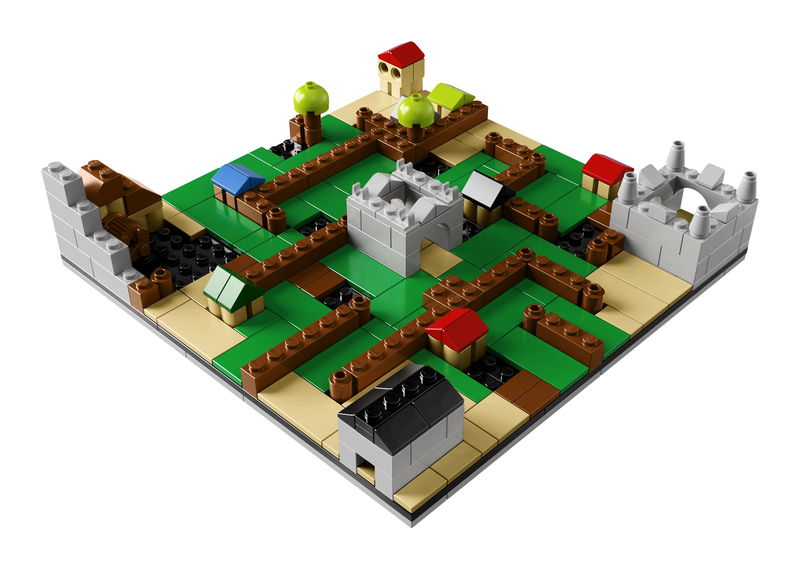 You can modify the difficulty of the mazes, create ones that follow specific patterns or favorite LEGO themes. The possibilities seem endless”. For Jason Allemann, seeing his model become an actual LEGO product is a dream come true. “I'm incredibly excited that this project received the support of so many people and was then approved to become an official LEGO product. I've been building with LEGO bricks for most of my life, and since I really got back into building as an adult it has been a dream in the back of my mind to someday have one of my models turned into an official LEGO set”. 21305 Maze contains 769 pieces and launches April 1 for $69.99.